How Revolutionary Are You? Take the Quiz! This Fourth of July, take in Liberty Celebration and salute the 243rd anniversary of the Declaration of Independence. The American Revolution Museum at Yorktown offers a special lineup July 4 to mark the patriotic occasion. From 9 a.m. to 6 p.m., visitors can enjoy interpretive programs, military drills and artillery demonstrations, and learn about the challenges that faced our nation’s founders, including those who signed the Declaration of Independence. 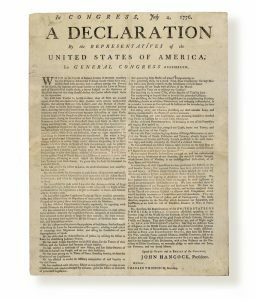 See a rare July 1776 broadside of the famous document duplicated in mass to spread the word of liberty from town to town. This immersive gallery exhibit is surrounded by signatures of the signers and features an interactive touch display that offers a closer look at the document. Listen to a public reading of the Declaration of Independence at 12 noon. Leave your thoughts on liberty on the “Liberty Tree.” This sculptured metal tree extending 17 feet is rooted in the museum’s exhibition galleries. Twenty electronic lanterns display liberty messages from all over the world – entered at kiosks at the museum and shared on a virtual Liberty Tree. Catch “Liberty Fever” – the museum’s introductory film, shown throughout the day in the main theater. 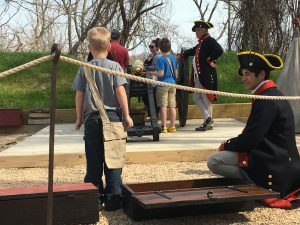 Learn about key events of the Revolution in 30-minute classroom presentations from 11:30 a.m. to 4:30 p.m.
A young visitor readies to run the supplies to the gun crew during a role-playing demonstration on artillery firing. At the re-created Continental Army encampment’s artillery amphitheater, visitors can join an 18th-century artillery crew at 11:30 a.m. and 3 p.m. each day, followed by historical interpreters firing a salute to our nation’s founders. Special programs allow visitors to train as a member of the Virginia militia, as well as join the ranks of General Washington’s Continental Army. 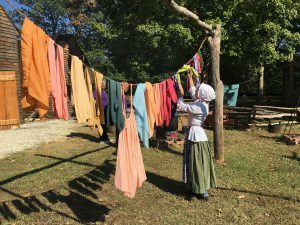 A historical interpreter hangs fabric dyed from natural pigments at the Revolution-era farm. Visitors can learn how farmers during the American Revolution became more self-sufficient by growing and processing flax, cotton and wool for homespun cloth in “From Field to Fabric,” a program from 11 a.m. to 4 p.m. at the Revolution-era farm. The effort became both a necessity and a political statement of patriotism. At 12 noon, join in a reading of the Declaration of Independence. Throughout the day until 3 p.m., visitors can see what’s cooking in the farm kitchen as historical interpreters prepare a avariety of 18th-century dishes on the hearth, using historical recipes from Virginia’s earliest cookbooks. The American Revolution Museum at Yorktown’s “Liberty Celebration” daytime events complement the Yorktown Fourth of July Celebration taking place in historic Yorktown with morning parade and evening fireworks and festivities. The American Revolution Museum at Yorktown is located on Route 1020 near the Colonial Parkway in Yorktown. Open 9 a.m. to 6 p.m. daily through August 15, parking at the museum is free for museum visitors. A free shuttle service is available to historic Yorktown until 5 p.m. on the Yorktown Trolley. The American Revolution Museum at Yorktown admission is $15.oo for adults and $7.50 for youth ages 6 through 12. Children under age 6 receive complimentary admission. 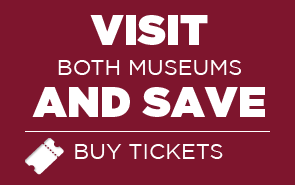 A value-priced combination ticket with Jamestown Settlement, a museum of 17th-century Virginia, is $26.00 for adults and $12.50 for ages 6-12. Residents of York County, James City County and the City of Williamsburg, including College of William and Mary students, receive complimentary admission with proof of residency. Ticket and package options and online specials are available with Williamsburg area attractions. “Liberty Celebration” activities are funded in part by the York County Arts Commission and the Jamestown-Yorktown Foundation, Inc., Annual Fund.